So frustrated…. have had so many issues since “October Warehouse fiasco.” Before this I have been a very frequent HSN customer for decades. Now my autoship cancelled… Early last month the credit card I had used with HSN became compromised and I had it cancelled. Consequently I finally got the HSN card and used it for my purchases. I noticed right away and issue with a waitlist order that had been cancelled by HSN. I called and told them to switch all my orders to the HSN card and cust serv said they had and switched my waitlist order. I have been watching and waiting for my Crafters Companion Spring Colorista auto-ship. My crafter friends started receiving theirs earlier this week. I checked today and mine was cancelled due to credit card. Called customer service. They are so sorry. They have promised they have changed the rest of the autoships to the new card (they said they had to change them one by one), but they can’t send my cancelled order because it isn’t in the “in stock” system! No doubt! That is why we sign up for autoship to get it before it is available. Nothing can be so sorry… even though my order they did not send is … somewhere… !?! Now the kicker that I can’t even understand is this…. I had an order for an autoship during the big October Warehouse Fiasco where so many of my orders never shipped and were eventually cancelled by HSN. One of those , which I never received the initial order, I received the autoship a week or so ago. That would have been ordered on the cancelled credit card too. Go figure. What I am really bummed about is missing this autoship that is part of a set. WHAT OCT WAREHOUSE FIASCO? DIDNT HEAR OF IT. IM ALSO FRUSTRATED WITH A/S. IF THEY ARENT CANCELLING MINE, THEY’RE SENDING ONE EARLY & CAUSING HAVOC IN MY CHECKING ACCT. ALSO HAD A PERLIER PRODUCT ON A/S AND SAW IT FOR A CHEAPER PRICE ON AMY’S BEAUTY SHOW. NO FAIR!!! AUTOSHIP SHOULD BE THE ABSOLUTE LOWEST PRICE THAT A PRODUCT WILL BE OFFERED FOR. OTHERWISE WHAT’S THE SENSE? CICIGIGI, I’m with you. I had a Serious Skincare 3pc Reverse lift kit that I was on auto ship for quite awhile. When I went to change my shipment date, I found they had canceled it without notice. That is so wrong. We should be notified beforehand so that we may purchase extra before it’s stopped. What is worse is they have almost the same kit except in place of the facial spray they had in the kit, they put an eye cream. So why not offer that kit instead. You know why? Because I was getting the kit for $18 and now they want $49.99 for the 3 pic kit. Make money off the new orders, don’t discontinue without notice because you can make more money. My daughter is boycotting Serious Skincare now because they did that to me and she buys a lot of their products as I did. Serious Skincare, you should treat your loyal customers better. Grandksmeme8 you post the most delightful sayings and photos. Thanks for all of your postings. They never fail to make me smile, lift my spirits and just plain out bring joy to me. I love the “Difficult times…” post. This is the first time my eyes have viewed this saying. It is so very true. There is a saying from the movie “Steel Magnolias” which is somewhat along these lines. It goes something like this: “That which does not kill us makes us stronger”. The words are from a famous author whose name I can not remember, so I can not give credit where credit is due. However, both of these sayings are very apropo and good to recall during difficult times. THANKS GANDKSMEME8!! IT’S FRIDAY AND THERE IS HOPE!!! LOL!!! Sassyandclassy, I hope you have a great day…with NO twisting and wringing! Hang in there, Basset. You are too kind to need any washing machine repairs. REMEMBER THE OLD FASHION WASHING MACHINE WITH THE ROLLERS THAT SQUEEZED OUT THE WATER????? THAT’S ME RIGHT NOW…FEELING LIKE I’VE BEEN PUT THROUGH THE WRINGER!!!! LOL!!! IT’S ALL GOOD AT THE END OF THE DAY!!!! 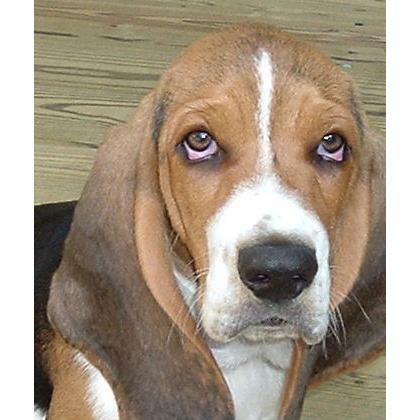 I know what you mean, Basset. I feel like I have been in a wringer washing machine, but we have survived.